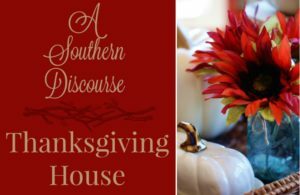 Welcome to ‘A Gracious Thanksgiving’ blog tour hosted by a few of us from over here at A Southern Blog Collective. 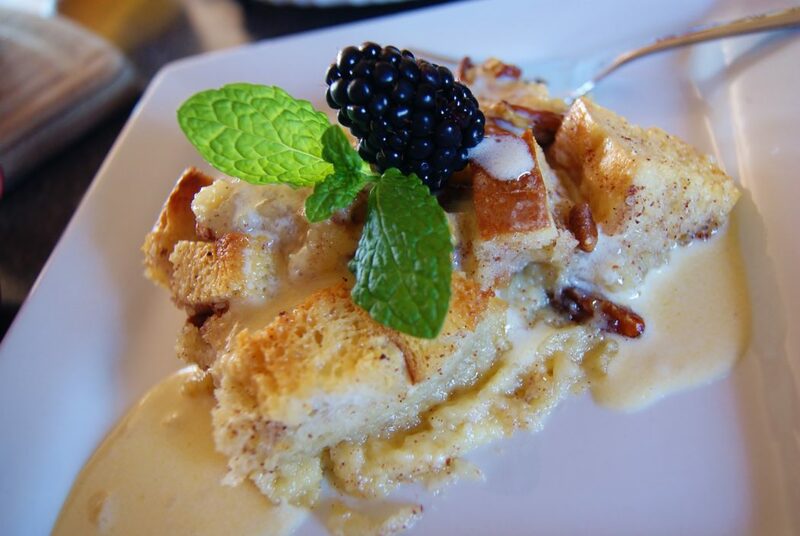 From guest to hostess, we are purposing to make this Thanksgiving our most gracious yet. 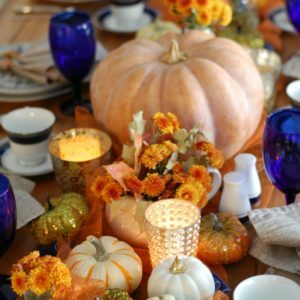 For inspiration and how-tos on how to make your guests or your hostess feel extra special this holiday season, make sure you visit every link on our tour at the end of this article! 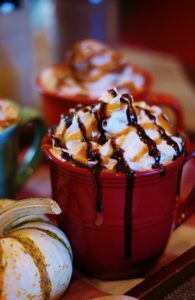 For this leg of the blog tour, we’re going to talk coffee bar with recipes for THREE simple homemade fall-flavored coffee creamers- salted caramel mocha, dark chocolate pumpkin, and pumpkin spice. They’re easy and quick and sure to be the highlight of your guests’ visit. 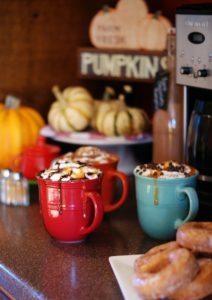 Who needs Starbucks when your coffee bar will rival something from an inn on a Hallmark Channel movie? A coffee bar is easy to set up and is perfect for breakfast, slow afternoons, or, if you’re like me, anytime of the day! 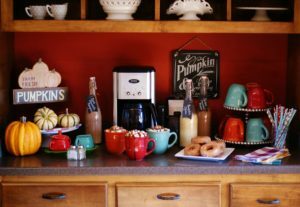 Stocked with little treats and delicious drinks, your quaint little coffee bar is just the thing to make your guests feel extra welcome this Thanksgiving. So, let’s get to it, shall we? For my coffee bar, I used my built-in kitchen desk. For me, this was a good idea because we never really use the desk, so it ends up becoming a repository for clutter- magazines, mail, car keys, you name it. And I really hate that. So by repurposing the desk, I was able to eliminate a main clutter area of the house. If you have the space, bakers’ racks, small buffets, or serving carts make great coffee bars too. Use what you have. Even just a designated spot on the kitchen counter works! Stocking a coffee bar is easy. As good hostesses, our jobs are to anticipate those things our guests might need. 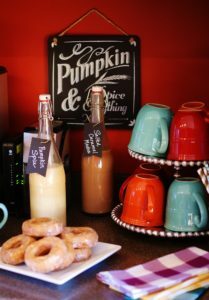 Here, I’ve included coffee mugs, paper stirrers, napkins, our three homemade creamers, regular cream and sugar, sea salt and cinnamon in case someone wants a dash of those, and some pumpkin doughnuts. Whipped cream and chocolate or caramel toppings would make great additions too. Also, think about honey or other sugar alternatives for those guests who might prefer that. Now what about those creamers? 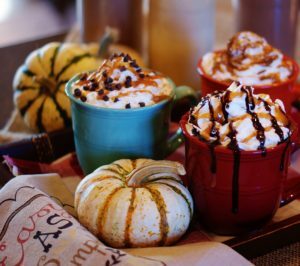 Salted caramel mocha is hands down my favorite coffee drink, followed closely by dark chocolate pumpkin, and lastly pumpkin spice. Making your own is super easy and can help you eliminate from your diet a lot of the chemicals and preservatives you might find in ready-made creamers you buy off the shelf. Let’s not get carried away though. I am not saying any of these qualify as health food, but using real pumpkin which is rich in vitamin A, fiber, and antioxidants is a better choice than using a pumpkin flavored who knows what, right? 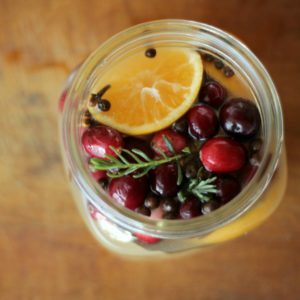 Plus, these 3 recipes revolve around the same basic ingredients, which makes grocery shopping economical and efficient. 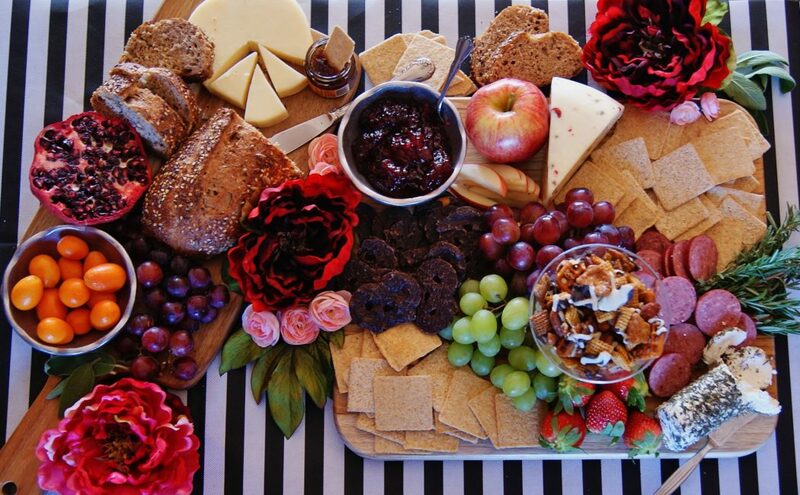 And that is a nice plus when prepping for any get-together. A pumpkin spice latte is a classic fall drink that you can make on your own in about 5 minutes! 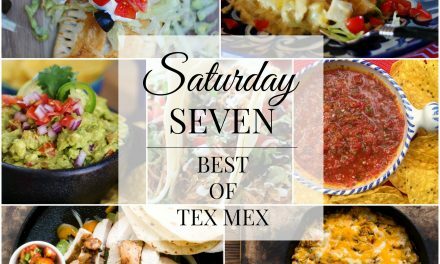 Add all ingredients to a blender or food processor. Blend until smooth. Pour into a pitcher or container to serve. Refrigerate when not in use. 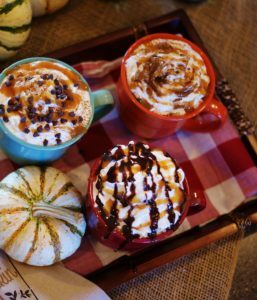 Top with whipped cream, caramel syrup, and/or cinnamon, and you have a real pumpkin spice latte treat! Sweet and salty, a salted caramel mocha is a perfect fall drink. On low heat, add all ingredients to a medium saucepan. Regularly stir for about 10 minutes to completely melt all the chocolate and caramel. Pour in a pitcher or container to serve. Top with whipped cream, chocolate or caramel syrup, and a dash of sea salt for a special treat! 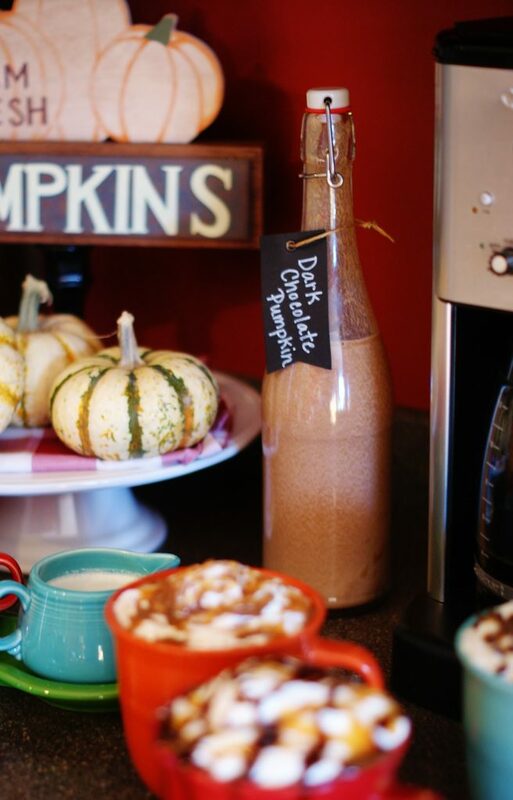 Rich dark chocolate and spiced pumpkin come together to make a classic fall drink. In a blender, blend pumpkin and cream until smooth. Over low heat, add all ingredients to a medium sauce pan. Stir regularly for 10 minutes or until all chocolate is melted. Pour into a pitcher or container to serve. 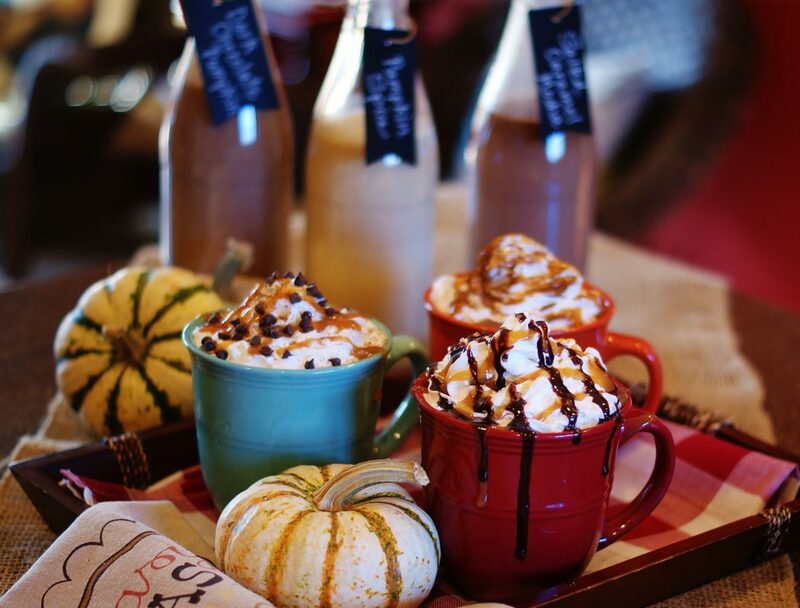 Topped with whipped cream, chocolate syrup, and/or cinnamon, this fall drink is hard to beat. 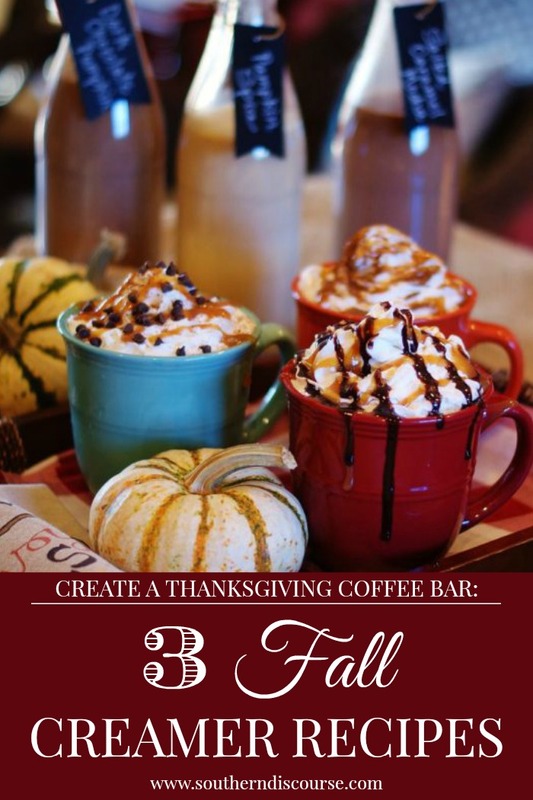 Check out this coffee bar and even more Thanksgiving inspiration at Meal Plan Monday! Your coffee bar is so great, Stacey! I just started setting mine up this past weekend. I still have a few things to add; and these were some great tips! I loooove looking at these pictures! Your coffee bar is so colorful and welcoming! I need to update ours. =) And I cannot wait to make those creamers!!! Ahhhh!!! Oh, the colors. You know my struggles with going neutral. Haha! I am going to paint that little square of wall inside the desk/behind the coffee bar with chalkboard paint. Now that, I am super excited about! Update pics for Christmas!! 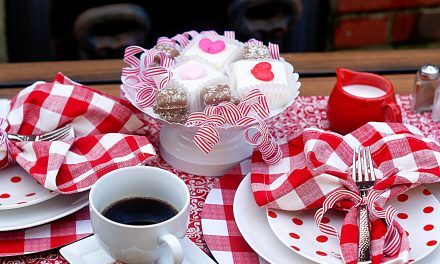 And I love your coffee bar; it’s got everything! 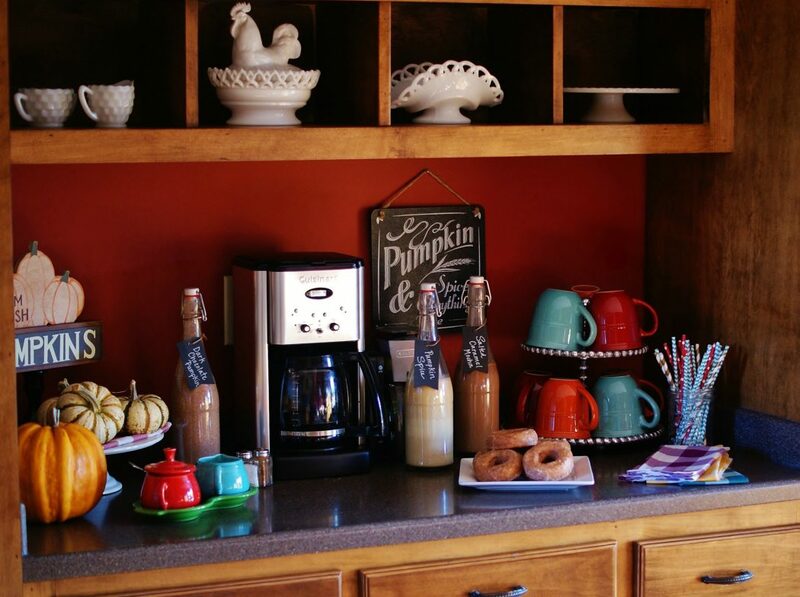 Your Coffee Bar is just perfect for the holidays and I love your creamers! Thanks so much for sharing with us at our Thanksgiving Edition of Full Plate Thursday! Hope you have a great week and come back soon! Thanks, Miz Helen! I hope you had a wonderful Thanksgiving!